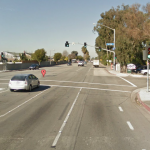 Garden Grove – Bicyclist Brian Winfrey of Laguna Hills was struck by a car and killed on Monday night. The collision happened at 7:00 p.m. on Euclid Street near Wakefield Avenue in a mostly residential neighborhood. Winfrey who was on the right shoulder of Euclid was struck by a Honda CRV traveling in a southbound direction. It is unclear of Winfrey had a helmet on at the time of the accident but he did have a reflective yellow jacket. 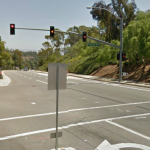 He died shortly thereafter at UCI Medical Center in the city of Orange. He was only 47 years old. The driver of the Honda was identified as a 48 year old female. She remained at the scene for questioning but no arrests have been made. Police have determined that drugs or alcohol were not a factor in this accident. Drivers should always watch for pedestrians, motorcyclists and bicyclists since we share the road with them.